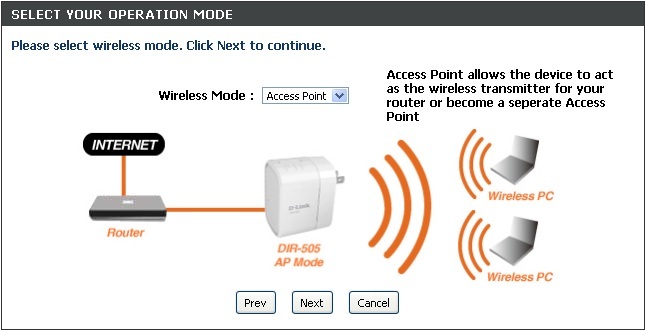 How do I switch between Router and Access Point mode on D-Link DIR-505? Step 1: Move the toggle switch on the DIR-505-á to Router/AP mode and power on the device. Step 2: Run the setup wizard in the DIR-505’s Web Interface to select whether you want to use Router or Access Point (AP) mode. 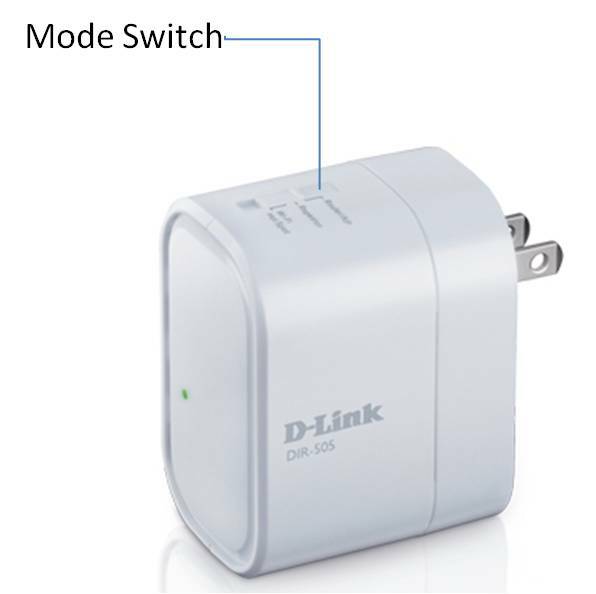 Depending on how you want to use your D-Link DIR-505 will determine which mode you use. This section will help you figure out which setting works with your setup. 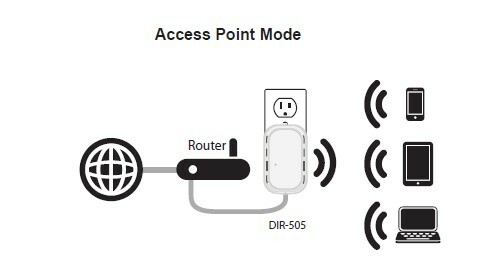 In the Access Point mode, the DIR-505 acts as a central connection point for any computer (client) that has a 802.11n or backward-compatible 802.11g wireless network interface and is within range of the AP. Clients must use the same SSID (wireless network name) and channel as the AP in order to connect. If wireless security is enabled on the AP, the client will need to enter a password to connect to the AP. In Access Point mode, multiple clients can connect to the AP at the same time. 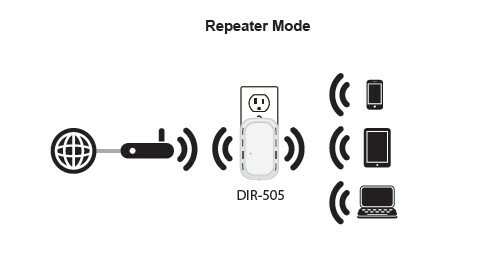 In Repeater Mode, the DIR-505 increases the range of your wireless network by extending the wireless coverage of another AP or wireless router. The APs and wireless router (if used) must be within range of each other. Make sure that all clients, APs, and the wireless router all use the same SSID (wireless network name), channel, and security settings. 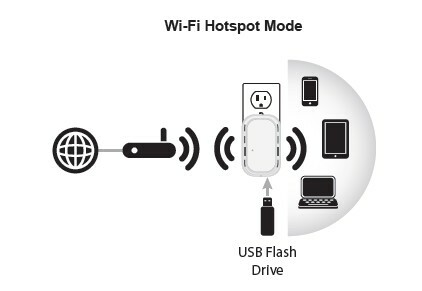 In the HotSpot Mode, the DLink DIR-505 acts as a wireless network adapter for your Ethernet-enabled device (such as a Laptop or an Internet Tablet). If you are going to connect an Ethernet-enabled devices to your DIR-505, move the switch to “Wi-Fi HotSpot Mode”. 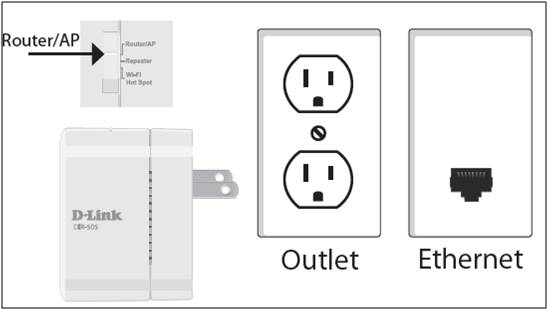 Then, plug the DIR-505 into a wall outlet and verify that the power LED is lit. Wi-Fi Hot Spot Mode has NAT which allowsan IP network to maintain a public IP address separately from your private IP address. Additionally, it enhances private network security by limiting the access of external computers in the private IP network space. 1.Click Next to begin the Quick Setup Wizard. 2.Select Access Point from the drop-down menu and click Next to continue. 4.When this screen appears, the setup is complete.Writ down your Wi-Fi Security Settings information for future reference. Click the Save button to save your settings. 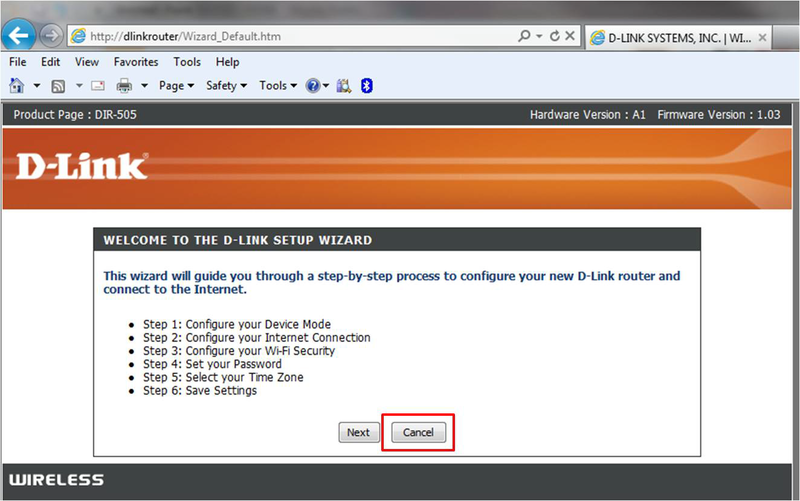 This Wizard is designed to assist you in configuring your D-Link DIR-505 as an repeater. 1.To start the Setup Wizard click Next. 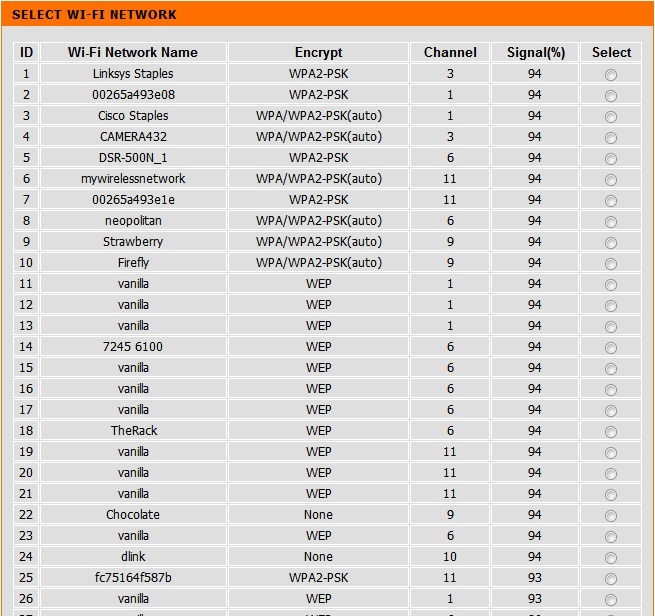 2.Select WPS as the configuration method only if your wireless device supports Wi-Fi Protected Setup (WPS). Click Next to continue. 3.Press down the Push Button on the Wireless device you are adding to your wireless network. 4.Select Manual as the configuration method to set up your network manually.Click Next to continue. 5.Please wait while your device scans for available Wi-Fi networks. 6.Select the network you would like your device to connect to and click Connect to continue.